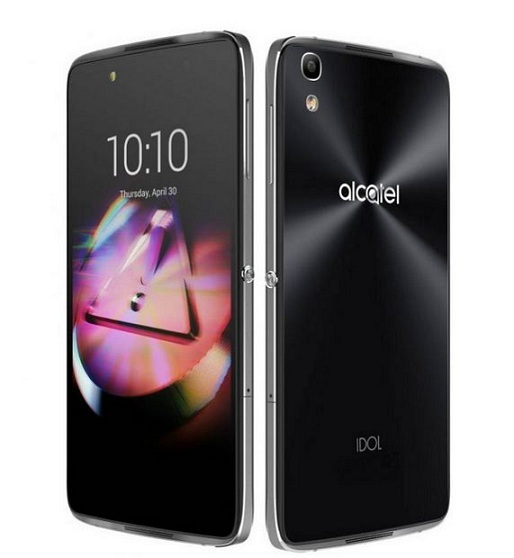 Alcatel Idol 4 with 3GB RAM Snapdragon 617 Specification Price Nigeria. Alcatel Idol 4 with octa core ( more like 8 Processors ) Snapdragon 617 SoC and 3GB RAM is now priced around Rs. 16999 in Flipkart India and at 99 in Cricket US. The smart phone also comes with VR headsets if purchased in either online shops. Not bad at all for a 5.2 inch full HD 1920*1080 smart phone with Adreno 405 GPU going for less than a 100 Dollar, this around 40-45 Nigerian Naira. Alcatel Idol 4 which was earlier unveiled in 2016, comes packaged with immersive 360 gaming and viewing VR headset and also a special hot key, “boom key”. Which gives all round access to various functionality in the device, gallery, camera etc. Alcatel Idol 4 comes in Dark Grey, Gold and Metal Silver colour variants. Alcatel Idol 4 also impresses with its dual speakers that offer incredible output packed with MaxxAudio Technology and also JBL stereo headset on the go making it a multimedia power house. Going back to key Spec, Alcatel Idol 4 is powered by Snapdragon 617 Chipset and 2GB or 3GB RAM option. The device has 16GB inbuilt storage with an onboard Adreno 405 GPU as graphics processor. The smart phone comes packed with 13MP and 8MP camera combination. Sports a 5.2 inch display with full HD 1920*1080 pixel resolution. Runs Android 6.0 Marshmallow and comes with battery capacity of 2610mAh with Quick Charge Technology of 2.0. What else? ?, Just check summarized specs below.